Timothy Bennett interned under and later partnered with Richard Preves. With Richard he completed projects throughout the Midwest and in Florida. Richard imparted a focus on service and delivering quality design within reasonable budget constraints. Timothy Bennett Architects continues a long history of providing quality innovative design services as well as a family tradition. A fourth generation of architects going back to Edward H. Bennett. 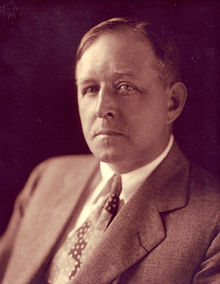 Edward Herbert Bennett, was an architect and city planner best known for his co-authorship of the 1909 Plan of Chicago. After graduating, Edward spent a short time in New York City with prominent architect George B. Post, who sent him to Chicago to assist architect Daniel H. Burnham in preparing a plan for the military academy at West Point. 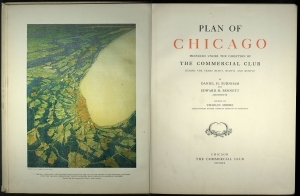 Burnham found Bennett’s work highly satisfactory and in 1903 invited him to move to Chicago to collaborate on the comprehensive plan for San Francisco, and afterwards, the Plan of Chicago. The completed San Francisco plan was not implemented in the aftermath of the 1906 earthquake, but Bennett became well known for his design work and co-authorship of the 1909 Plan of Chicago. While Burnham raised money and visibility for the Chicago Plan, Bennett created the actual layouts and drawings which are so well known today. Edward Bennett made Chicago his personal and professional headquarters for the rest of his career. He served on the Chicago Plan Commission in various capacities into the 1930s and developed a substantial private practice and a national reputation as a city planner. Burnham, who largely retired from active practice after 1905, other than for his work in Chicago, directed applicants to Bennett, who, with partners William E. Parsons (1872–1939) and Harry T. Frost (1886–1943), served as a planning consultant to many cities large and small. In the plan for Chicago, Burnham and Bennett created a working document giving substance to the City Beautiful philosophy. From this prototype Bennett developed comparable plans for numerous American cities, including Minneapolis, Detroit, and Portland, Oregon. Edward Bennett’s firm was a pioneer in the creation of zoning ordinances and the study of transportation and regional planning as urban design tools. He usually served on a consultant basis, frequently for quasi-public or commercial interests such as the Commercial Club of Chicago. His vision of the city was formed in the application of Beaux-Arts design principles of axiality and the incorporation of monumental public buildings as civic markers, coupled with a systematic ordering of functions for efficiency. Bennett’s ideas about the marriage of technical and aesthetic ideals are important examples of urban utility and beauty in a democratic society. Bennett was concerned with both the regional organization of a city’s services and the individual citizen’s enjoyment of his city. He realized the importance of transportation planning, the placement of government and civic structures, zoning, and the creation of parks and public spaces for public enjoyment. Currently a park and building, under construction, are to be named in recognition of Edward Bennett’s contributions to the city.